How does a small country on the other side of the world with a population similar to Wales manage to produce such outstanding rugby players? Nearly every time New Zealand play rugby, something exceptional and exciting happens – and they usually win too. 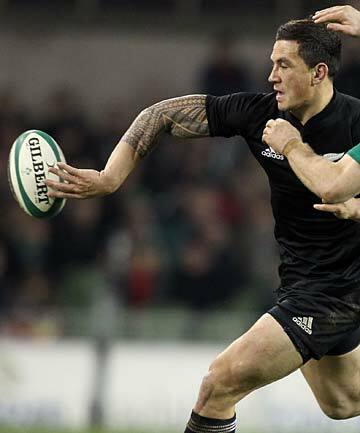 How often have you heard commentators gushing over the seemingly miraculous off loads trademarked by Sonny Bill Williams? S4C and the BBC commentators also seem surprised that a giant lock such as Ali Williams can not only smash into a ruck, scrummage and jump in the line but can actually run a great angle and pass the ball too! So what is the All Blacks big secret? The answer is a game started in 1960s Australia by a group of ex-rugby league players – Touch (more often known here as Touch Rugby). Touch is a great way to learn basic skills of rugby such as how to avoid an opponent with a good pass or run and how to find the open spaces on the field. Over 230,000 play the sport in New Zealand, including 70,000 children. 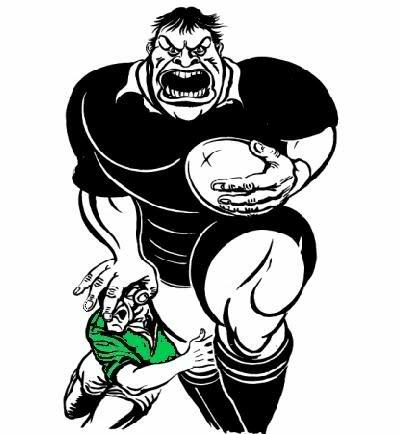 Surprisingly, only 147,000 Kiwis play traditional rugby. In Wales, there are currently only about 3,000 people (mostly adults) playing Touch and the vast majority of them play in the Cardiff leagues. However, this is set to change. There is now a chance for everyone in west Wales to try the sport in a new tournament called ‘Gorllewin Gwyllt’ (‘Wild West’ in English) in early May. The tournament is the vision of Matthew Adams from Pencarreg, Carmarthenshire. Matthew works as a sports officer and saw potential in the game whilst playing Touch in a league in Cardiff. In 2010, through his work, Matthew established a Touch league in Llanelli. The first season saw around 150 men and women compete each week. The league returns in May and it is hoped that there will be even more interest. Following the success of that league, he has now decided to establish the Gorllewin Gwyllt tournament on the fields in Llandysul in the hope of kick starting regular games of Touch there too. The tournament is part of the impending revolution in Wales. The Welsh Rugby Union has just appointed 14 new participation officers (POs) who will be responsible for the development of Touch in the community and schools. Plaudits must go to the Wales Touch Association (WTA) for pushing this through having pressurised the WRU for some time about the virtues of Touch. Also part of the PO role is to engage adults in what the WRU term leisure rugby which encompasses Touch (indoor and outdoor versions). What is interesting is that this represents a new market for the WRU. Up until now, they have only supported traditional rugby union through clubs and schools. 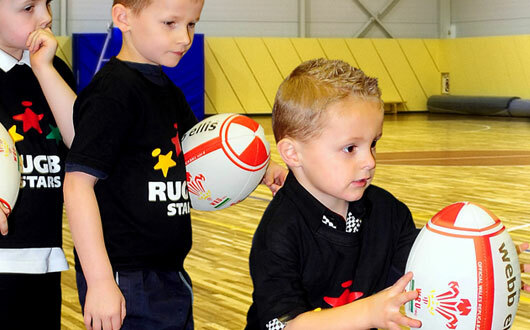 Through the POs, the WRU is now hoping to break into a number of new areas such as coaching 3-5 year olds, with their Little Stars programme. The WRU Leisure Rugby programme will incorporate Touch through a partnership with the WTA. Furthermore, they are hoping to draw adults back into sport by playing an indoor hybrid of rugby and netball as part of the Back to Sport initiative, this time in partnership with Welsh Netball. This could be a fantastic way of encouraging more adults to take a sport again. In Wales, we see an alarming drop off from sport which results in many teenagers and adults becoming almost completely inactive. In Carmarthenshire, for example, only a third of adults do enough physical activity to see any health benefit. This could be about to change. Why is the WRU’s adoption of Touch significant? It means that Wales will now join New Zealand and Australia by using Touch as a stepping stone into rugby union. Young children will be initially introduced to Touch in schools and in the community. The game is simple, the rules are easy to learn and there is very little physical contact. This means that both boys and girls can safely play together – good news for primary school teachers with 30 boys and girls in one class. For those of you not familiar with the sport, there are 6 players in a team. Due to the minimal physical contact, men and women or children and adults can play in the same team. See What is Touch? post. Gorllewin Gwyllt is the first opportunity to take part in a touch family competition in Wales. This is an opportunity to try this exciting sport and to see how the Touch can improve your skills. In Wales, a great proportion of Touch players either play or have previously played Rugby. But does this give you a divine right to be good at Touch? Usually not. Touch is a different game, with it’s own subtleties and nuances. It requires a different approach to full contact rugby. Fortunately though, good habits can be learnt. A good number of men come into Touch when they can no longer sustain a full 80 minutes of tackling, rucking and scrummaging. They hit their 30s and other priorities start to take over – family, work, not ending up with a black eye or torn ham-string – the list goes on! But if you have played rugby all of your life, possibly at a high standard, does that automatically mean that you can run the show on the Touch field? In Wales, many of us have an instinct to run into on-coming defenders. We love mixing it up with a bit of physical confrontation and there’s nothing better than trying to ‘Maori Side-Step’ an 18-stone prop, is there? Many ex rugby players who have relied on physical dominance throughout their rugby careers are suddenly ‘found out’. When they have to rely purely on skill, it becomes a different proposition to their previous life as a rugby warrior. We would all love to be like Jonah Lomu (see him in action below – any excuse to watch Jonah literally run over Tony Underwood again!). Sadly, most of us are not built like Goliath and able to run 100 metres in less than 12 seconds. Budding Lomus aside, junior rugby players are now coached to run at the branches and not the trunk of the tree. However, many of the older generations still run at defenders. Attacking players look to accelerate into contact in order to either, in the best-case-scenario, burst through the tackle or, worst-case-scenario, manage the situation and keep possession for supporting players. In Touch this tactic is counter-productive. Firstly, attackers initially want to avoid all defenders if possible. If this is not possible, attackers will look to take a Touch, but on their terms. There is little point in accelerating into contact when you are penalised for over-stepping the mark. If a supporting player is able to pick up the ball immediately following a touch, ground can be made very quickly. Many Union players have traditionally used Touch to warm up and throw the ball around for a bit – plenty of extravagant flicks, running sideways and ‘Allez!’ moments. Instead of accepting or even initiating touches, the ball is kept alive. Unfortunately this is only done laterally and little or no ground is made because every time they do get touched, the ball is invariably on the ground for too long and supporting players receive passes too late, making it very easy to defend. Perhaps Rugby League players are better at this than Union players as they are used to returning 10 metres. However, most union players are not used to retreating at the ruck (it’s all about the ‘Gain Line‘ and as a result are often caught offside when they first start Touch. This takes some getting used to – particularly for forwards who maybe have little experience of defensive lines in open play. Good Touch players will just play through them. All is not lost though. Once you accept that the game is different and grow to appreciate Touch for what it is – a fast, dynamic, skill-focused, fun and addictive game, rugby players really can make great Touch players. What are your experiences of playing Rugby and moving to Touch? Johnny or Shane – Which Retired International Would Make the Best Touch Player? Now that an end has come to two glittering international careers, I’m sure Johnny and Shane will both be looking for new challenges in the forthcoming years. Representing your country at the highest level is the pinnacle for any sportsman. Once a player retires, for most, the only way is down. How can that regular high be recreated elsewhere? Richard Parks and his 737 Challenge proved that hanging up the rugby boots after a career-ending injury does not mean an end to testing your mind and body against the odds. Unfortunately, not all ex-pros react in a positive way to the end of their career. Many suffer from depression, alcoholism or addictions to drugs or gambling. I imagine that both players are ultra-competitive and would be keen to keep sport on their agenda. I would suggest that both Johnny and Shane would find Touch to be the perfect pastime. A huge amount of Touch players have come to the sport following cessation of playing full contact rugby and with the possibility of competing on the international stage, perhaps they could be attracted into the game. There are differences tactically, but tactics can be learnt – natural ability cannot. Both players have this in abundance. I have often wondered how players such as Shane would fare on the Touch pitch. My guess is, extremely well! He has the speed, ability and downright genius to twist anyone into a knot whilst trying to close him down, so I am sure Touch would greatly suit his style. Johnny has such good distribution, organisation and leadership qualities, he would be an outstanding Touch player, likely to direct play from the middle position. Although, his trusty left boot would be of no use to him in Touch! So, Shane just pips it for me then! Is Sport Only for the Time Rich? I played rugby union throughout my teenage years and 20s and on the whole really enjoyed it. I love the physical challenge of rugby, working as a like-minded group to overcome challenges, pitting your wits against your opposite number and winning games was always a great bonus. But what happens when external and internal factors force you to re-prioritise your recreation time and you can no longer afford the time to play? I am a step-dad to a 13 year old girl and dad to two boys under 2, I commute 40 miles each way to my full time job Monday to Friday, my wife is a free-lancer who has to balance childcare with taking on work and therefore usually works at least one day on the weekend. I have just moved house and have a quickly growing jungle in the garden, rooms full to bursting with still unpacked boxes and scores of odd jobs that need doing. Where does sport fit into this? I don’t think I appreciated this at the time, but I invested more than 20 hours a week in rugby and it’s peripheral activities! That’s almost a full day each week! At the moment it is a struggle to grab an hour or two to do any kind of sport. I now live 10 minutes drive away from Brechfa Forest, one of Wales’ prime mountain bike trail hubs. In six months of living here I have managed one 2 hour ride! I have been for plenty of walks with the dog and my sons, but until the invent a kiddies protective bike trailer that can withstand the berms, table tops and drop-offs on the Gorlech trail I’ll have to stick to walking! There is evidence to suggest that I am not the only one. Many people with young families are in exactly situation. One of the fastest growing sports in the UK is five-a-side football. Purpose built football centres such as Gôl in Cardiff are packed every night of the week with hundreds of punters playing games of 15 minutes each way. I play five a side with a few mates in the Tuesday league. It’s great fun, competitive, well organised and a good sweat – I love it! Dai’s not the only one, I have played in a similar league and the fact that you were done and dusted in the hour was very appealing. It certainly beat going to the gym – working as a team trying your best to win a game forces you to put in far more effort than running on a treadmill will ever do. When it comes to small versions of sports though, my personal favourite is Touch (Rugby). Closely related to both rugby codes, the game was developed in Australia in the 60s by a group of ex-rugby league players that wanted to keep fit and play competitive rugby into their 40s and 50s. Roll on 50 years and the game has spread to over 40 countries and has it’s own World Cup showcase every 4 years. It is played by both men and women, often playing on the same team. The worldwide governing body is the Federation of International Touch (FIT) and in Wales, Wales Touch Association (WTA) is the NGB. For me the beauty of the game is that it is very fast (lung-bustingly so! ), skill-full, competitive and has very few player injuries associated with it (therefore a small risk of missing work). As opposed to rugby, I directly contribute to the game with ball possession for far longer and I don’t have to roll about wrestling fat blokes in the mud! Bonus! Perhaps playing the full versions of sports is only for the time rich, but a new generation of adapted games is helping those with that competitive bug to continue to play their chosen game, even if time is at a premium.